When superstar soprano Sondra Radvanovsky finished singing Aida’s great act III aria “O patria mia” in her 2010 COC and role debut, the audience response was unprecedented. Toronto had just experienced one of the most emotionally frank, technically superb, thrilling pieces of singing. The post-performance excitement in the lobby was palpable – her just-released CD of Verdi arias was selling out at the Opera Shop and patrons were simply abuzz with excitement, demanding to know when they would hear her again. They’re currently getting that chance with Radvanovsky’s rapturously-received return to the COC stage this spring as the “Virgin Queen” Elizabeth I (Elisabetta) in Roberto Devereux which, like Aida in 2010, represents another role debut. Roberto Devereux puts the “grand” back into “grand opera"! Bel canto (literally, “beautiful singing”) is an elusive term. It is most often used as a convenient, catch-all phrase referring to the early 19th-century period in Italian opera dominated by Rossini, Bellini and Donizetti. But it also denotes a singing style, the hallmarks of which are beauty of tone, wide range, extreme flexibility and expressive utterance of text. 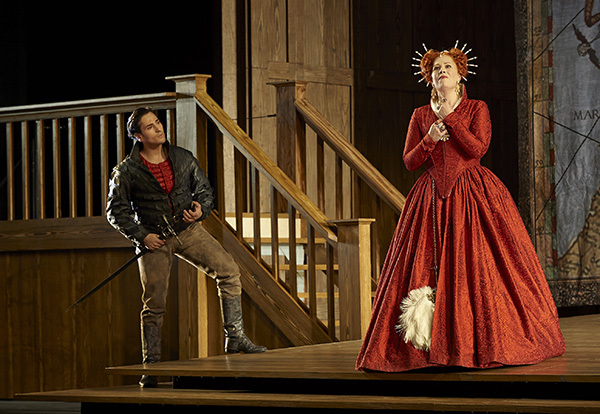 For this spring’s Roberto Devereux, the COC has assembled an ace team of highly trained vocal athletes who are ready to meet bel canto’s extreme demands in Donizetti’s great historical drama about the last days of England’s “Virgin Queen,” Elizabeth I (Elisabetta).